When: Registration is closed for the 2018 – 2019 session. Registration for the 2019 – 2020 session will open in late May. Interested in trying it out first? Register for our April 23rd open house below. Regular time & date information: Tuesdays, 10 am — 2 pm. September through May (off for winter). 26 weeks. Full year: $1,225 – $1,700 (sliding scale) for 26 Sessions. Actual per-student cost is $1,400. Half-year (Fall or Spring term) sign-ups considered on an individual basis. Fee: $612.50 – $850. Actual per-student cost is $700. 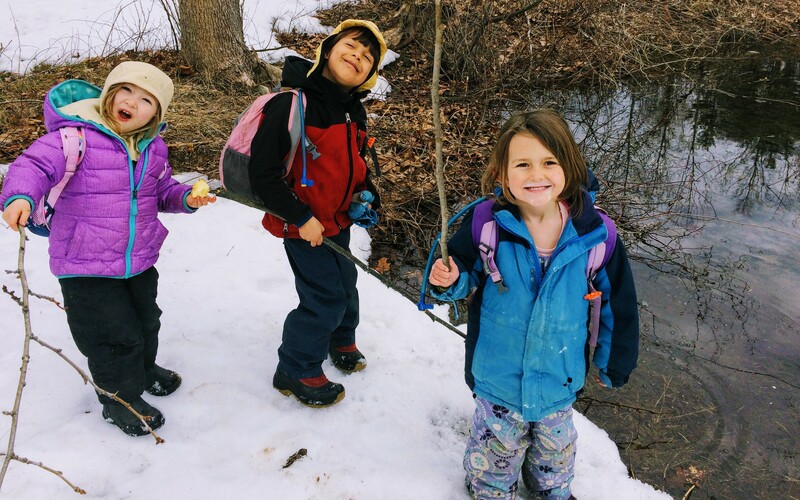 Foxwalk Forest School supports children ages 5-7 to explore the natural world together, learn ancient wilderness living skills, and build self-confidence, teamwork, and knowledge of self, nature, and community. Students are guided by longtime VWS lead instructor Bob Etzweiler, with over 18 years of experience sharing the natural world with children and guiding groups in the outdoors, along with other experienced Vermont Wilderness School staff. We maintain a ratio of no more than 6 children to one instructor. Foxwalk was initiated by a group of parents seeking nature-based learning opportunities for their young children. FoxWalk is a program about building and fostering relationships. It’s by creating connections to each other and the natural world that our curiosity is stirred and learning flows. Our days are filled with play, exploration, stories, wilderness skills and fun…lots of fun! We are guided by the combined passions of the children and staff, the seasons and weather, and the unique magic that each day has to offer. Registration is closed for the 2018 – 2019 session. Registration for the 2019 – 2020 session will open in late May. The Open House is an opportunity for parents and children to visit the program to see if it’s something they’re interested in trying in the future. 9:45 – 10:00 am Arrivals. Kids and instructors head into the woods a little after 10:00. 10:00 – 11:00 am Optional Parent Q&A with Foxwalk Director, Bob Etzweiler. This is a great chance to learn more about the program and ask any questions you might have. Parents depart after. 1:45 – 2:00 pm Closing Circle. Parents are invited to join and hear stories of the day. Parents and children should come prepared to be outside and bring a lunch and water bottle. The suggested donation for the day is $20. Registration is required, as space is limited. Register for the Open House below, and make your optional donation via the payment box to the right —>. Questions in advance? 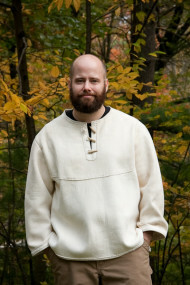 Contact Foxwalk Director Bob Etzweiler at: robertetzweiler@hotmail.com or (802) 257-8570. You will be redirected to the PayPal page. There you can pay by credit card (even if you don't have a PayPal account), or via your PayPal account.